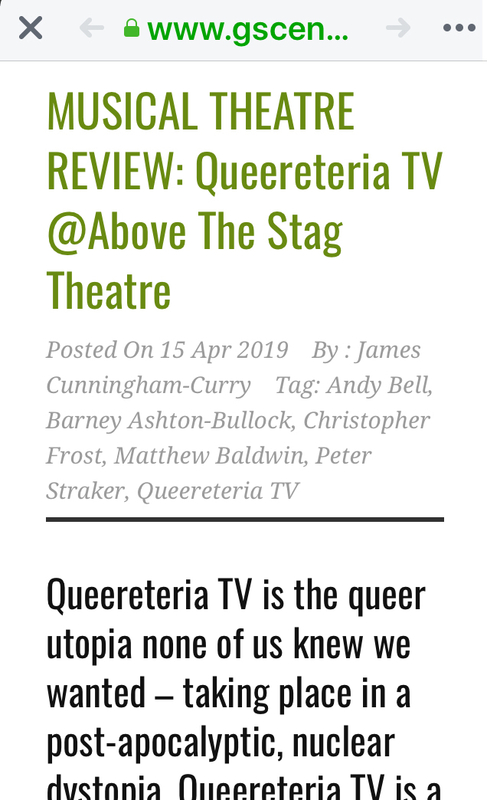 A kindly and thoughtful 4 star review on our ‘Queereteria TV’ stage show from The Stage newspaper! 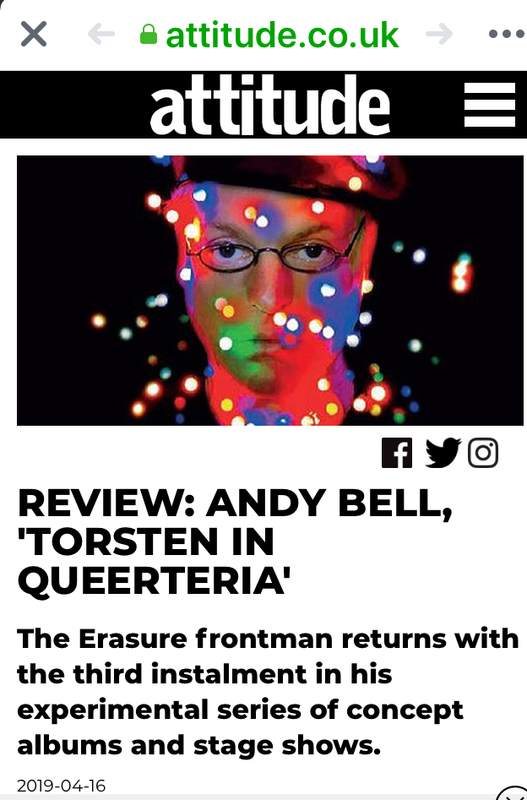 “The ageless, enigmatic Torsten first appeared at Above the Stag in 2016 as part of the dramatic song-cycle Torsten: The Beautiful Libertine, a musical curiosity featuring Erasure frontman Andy Bell in the title role. 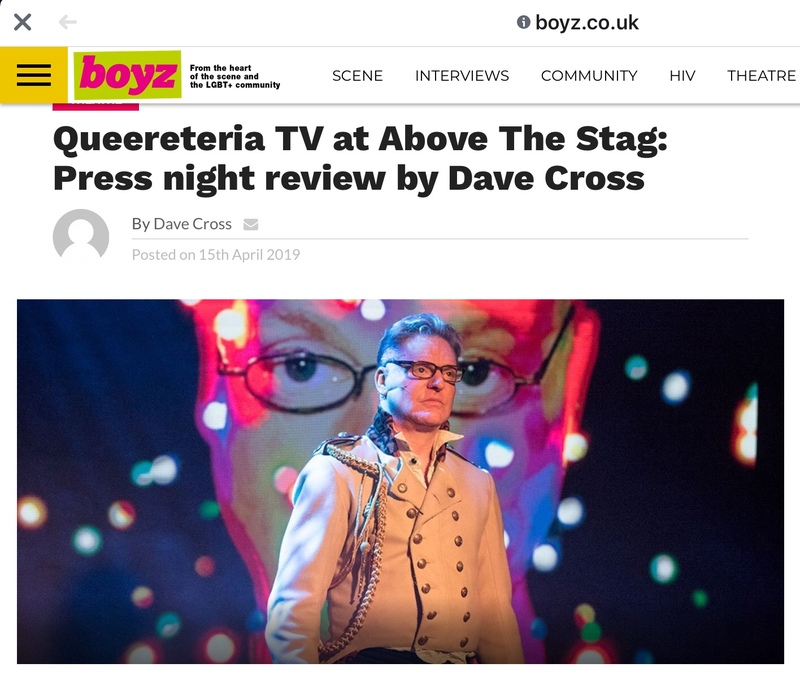 Despite being on-book throughout, Peter Straker makes an eloquent Rupert, eulogising the hedonism of his youth in an attempt to understand the present. 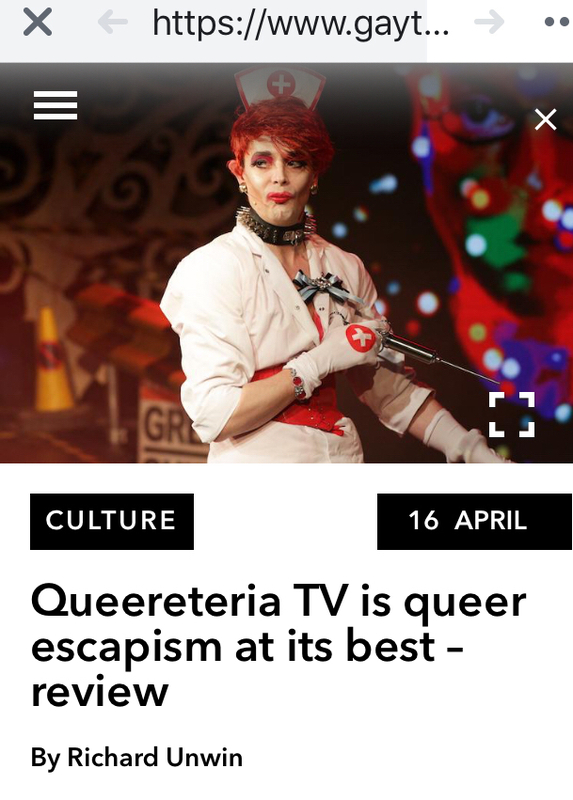 Matthew Baldwin, as the vicious Lady Domina, creates a character of such hideous self-importance, it’s testament to the restraint of the actor that he doesn’t unbalance the piece. 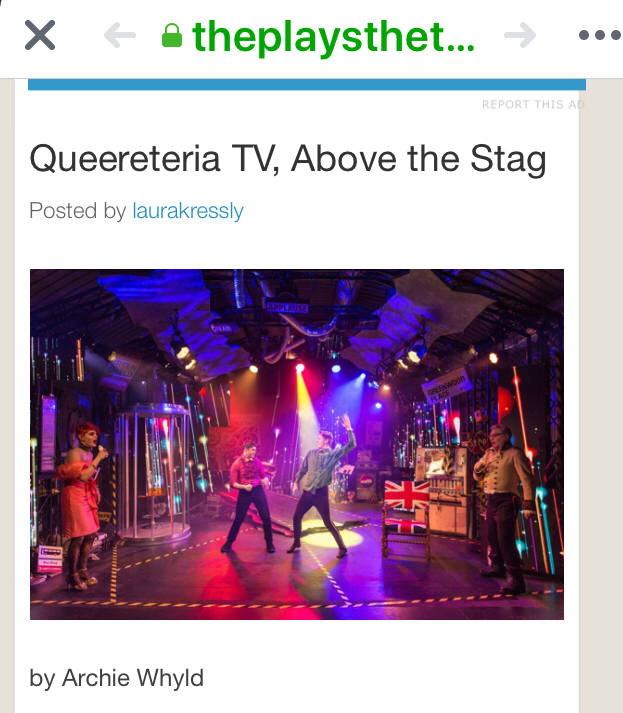 A 5* review you can’t get better than that.